A state-sponsored 529 savings plan is an investment portfolio ear-marked for college expenses. Money grows tax-free in a 529 plan and comes out tax-free, too — so long as it is put toward qualifying educational expenses. Every state has at least one 529 plan, and many have two or more. We spent four weeks researching 529 plans, landing on the best by grading them on four core metrics: past performance, management expenses, investing options, and data accessibility. While every 529 plan is state-sponsored, not every 529 plan has the same requirements for where you live and where the beneficiary attends school. To ensure we were looking at options that would work for the majority, we eliminated plans with residency requirements or prepaid plans. With a prepaid plan, you pay tuition to the state your child will attend college ahead of time. By only considering savings plans, we ensured our recommendations are practicable for everyone, regardless of where you live now or where they’ll study in the future. Note: In some cases, going with your state’s 529 plan is a great option. Look for an upcoming review on when this might be the case — it boils down to state income tax credit and lower management costs. There are two ways to enroll in a 529 plan. You can purchase a plan through an advisor, who handles the investing for you, or you can invest directly. While going through an advisor lets you hand the reins to someone else — someone whose job it is to outwit the market — advisor-sold plans tend to be a lot more expensive. What’s more, their expert help is far from guaranteed to make up for that extra cost. We considered only direct-sold plans. 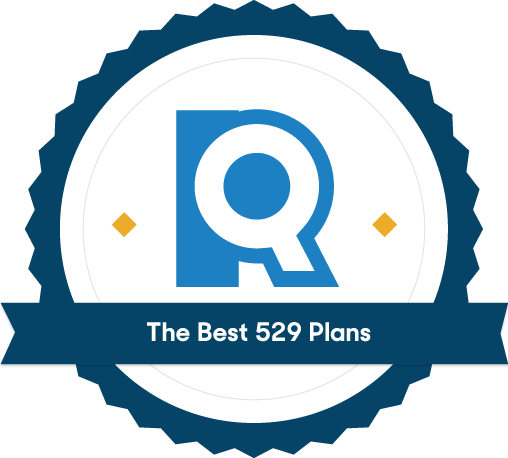 As a preliminary point of comparison between 529 plans, we looked at how easy it was to find key data on each plan’s website. 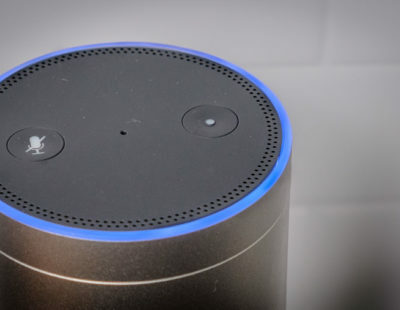 Lack of transparency here makes comparison unnecessarily difficult, while also suggesting the plan may fall short of being user-friendly down the road. Note: Some funds failed here because they are too young to have five years’ worth of data. As we update this review, we will update our list of contenders to include those that have aged long enough to supply a performance history. Past performance doesn’t guarantee future results. The market is given to squalls and your investment is just another boat on the sea. Still, looking at average returns over the years is the best way to estimate how well your investment might perform. Plans offer tons of different investment options. For the sake of “apples to apples,” we averaged the annual returns of four common portfolios over the past five years. The first three plan categories are static portfolios — your investment allocations remain the same until you adjust them (you can make adjustments twice per calendar year and if you change the beneficiary). Age-based tracks adjust automatically, allocating funds away from high-reward/high-risk investments and toward low-reward/low-risk investments as the beneficiary nears college age. Most 529 plans offer both static and age-based portfolios. While past performance is the most important metric we gauged, the cost it takes to maintain your investment plays a big role, too. Thanks to compound interest, one percentage point more or less can add up to a huge chunk of change. For age-based plans, we averaged together the decreasing management costs as the plan ages into a conservative, lightly-managed portfolio assuming the account was opened before the student’s first birthday. Does the plan offer all four most common investment options? How many investment options total? What’s the minimum you can contribute per month? What’s the maximum contribution amount? 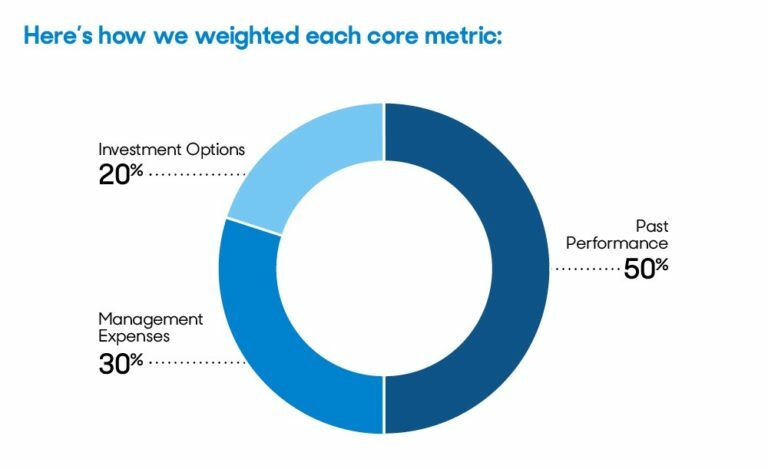 We weighted the outcomes of our core metrics to reflect their importance in determining the overall quality of the plan. Our top three picks shared the highest score. The same fee across plan types means you aren’t cornered into enrolling for a plan based on expenses alone. With New York’s 529 College Savings Program, you can expect an exceptionally low 0.13% expense ratio (ER) no matter the portfolio you invest in — high-risk, low-risk, static, age-based. Even for the most minimally-managed, low-risk portfolios, a 0.13% ER would be remarkable. For stock-heavy plans, it’s astounding. Making investments with expenses top of mind is a smart money move: Investing with New York’s 529 minimizes expenses so you can maximize returns. Whether you’re a conservative investor on the hunt for a water-tight, bond-focused portfolio, a risk-tolerant investor looking for big gains, or a hands-off investor interested in an automatically adjusting, age-based system, you’ll have options under New York’s 529 plan. What’s more, all plans turned up encouraging numbers in their five-year data. Conservative plans have gains in the 1-5% range, with more active portfolios gaining as much as 6.7%. New York’s 529 College Savings Plan shows small numbers and big numbers exactly where you want to see them. The no-minimum investment means that you can pump up the total with any amount at any time, and the sky-scraping $520,000 maximum investment means that you have a high ceiling to accumulate future education funds. New Yorkers can deduct up to $5,000 per beneficiary per year, or $10,000 if married and filing jointly, from their taxable income to invest in a 529 plan. (If you’re investing as a gift, you can contribute $15,000 or $30,000 jointly.) A serious boon for those who both live in the empire state and choose to save for higher education there. But investors from other states can’t reap this reward and should weigh potential tax savings in their home state against the returns and low expense of New York’s plan. If you choose to move your account from New York’s 529 plan to a 529 plan in another state, the money will be subject to New York’s tax on earnings. It’s doubtful that you will need to transfer a 529 account in this way, since there are so many options internally if you want a different portfolio. Still, it’s good to be aware that your money could get a hefty bite taken out of it if you want to roll it over to a totally new account. Some people want to take an active role in managing their 529 investment. Others want to make a decision once — to open a certain account — and then let the money ride. 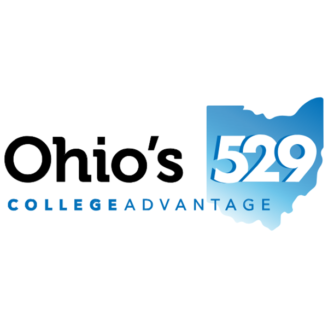 Ohio’s 529 CollegeAdvantage has a breadth of offerings wide enough to accommodate both investment styles. Choose from ready-made plans that allocate based on the age of your benefactor, their college-entrance year, or your risk tolerance. You can also design your own plan with a range of equity options — stocks, bonds, and cash instruments. Expense ratios measure how much of a fund’s assets are used for operating expenses. ERs between 0.5-1.0% are common; anything below is golden. For both static and age-based portfolios, expense ratios (ERs) for Ohio’s 529 CollegeAdvantage stay below 0.22%. Static ERs range from 0.19-0.22%; age-based from 0.20-0.22%. Ohio’s 529 has performed well across the board, with returns breaking 5% on a number of higher-risks portfolios. But historically the portfolios that have performed exceptionally well are the bond-heavy options. Seeing close to 1% isn’t uncommon for these low-risk accounts, but five-year data for plans made up of 50-100% bonds shows returns of 2-4%. If you are an Ohioan, you can deduct up to $4,000 per beneficiary from your income tax. Not an enormous sum compared to the in-state tax benefits of New York and Pennsylvania, but still a pretty penny to be able to invest, watch grow, and withdraw tax-free. But for residents of all other states, this income tax perk won’t be available. Pennsylvania 529 sponsors two plans: an investment plan (IP) and a guaranteed savings plan (GSP). If you are turned off by market fluctuations, opt for the security of the GSP. The Pennsylvania Treasury invests for you, and the fund takes responsibility for performance. The end-result: No matter how your money has fared, the credits and semesters you “bought” with your contributions will stand. This is because your investment dollars are organized as evergreen credits at five different tuition levels (community college, university, etc.). 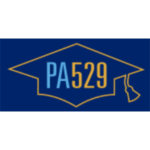 Pennsylvania 529 offers 16 investment plans that span the full gamut of age-based, blended, and 100% stock and bond options. All of the above have enjoyed solid performance over the past five years. Aggressive portfolios have seen returns in the 5% range, while more conservative portfolios have seen 2-5%. All of Pennsylvania’s 529 plans levy dependably low management fees — every plan we compared comes with a moderate 0.24-0.25% expense ratio (ER). Rule of thumb when it comes to ERs: The more aggressive the holdings, the more actively they are managed, the higher the fees. An ER between 0.5% and 1% is typical for actively managed funds, while 0.2% is average for passive management. 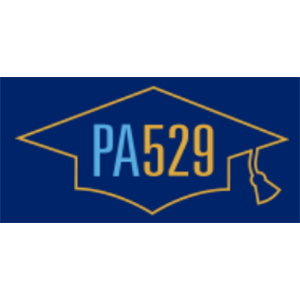 With Pennsylvania 529, you are paying the lowest end of fees no matter the investment portfolio. Plus, there’s no annual fee (normally $10) if you opt out of paper delivery. While income tax deductions are available, they’re exclusively for Pennsylvanians. If you’re out-of-state you miss out. But locals can deduct up to $15,000 per beneficiary per year (or $30,000 if married and filing jointly) from your taxable income if you’re investing that amount in your 529 plan. That’s higher than most. And thanks to Pennsylvania 529’s high upper limit ($511,758), you could make that max yearly investment for longer than you are likely to hold the plan. While saving for your children’s college is definitely important, many parents mistakenly identify it as the most important long-term financial goal. But recall the safety briefings of flight attendants: always secure your own oxygen mask before you assist anyone else. The idea is that if you don’t take of yourself, you won’t be able to help your children either. The application to finances is pretty self-explanatory: It’s no good over-contributing to a 529 plan if you’ll have to make taxed and penalized withdrawals in an emergency. Keep in mind that you don’t necessarily have to pay for 100% of your student’s education. Determine what your target percentage is, and don’t overextend yourself. While students can borrow to pay for college, you can’t borrow to pay for retirement. Paying off debt, building an emergency fund, saving for later in life — these are all financial considerations to prioritize before enrolling in a 529 plan. It quite literally pays to start early – saving a smaller amount earlier can be more effective than saving a larger amount later. 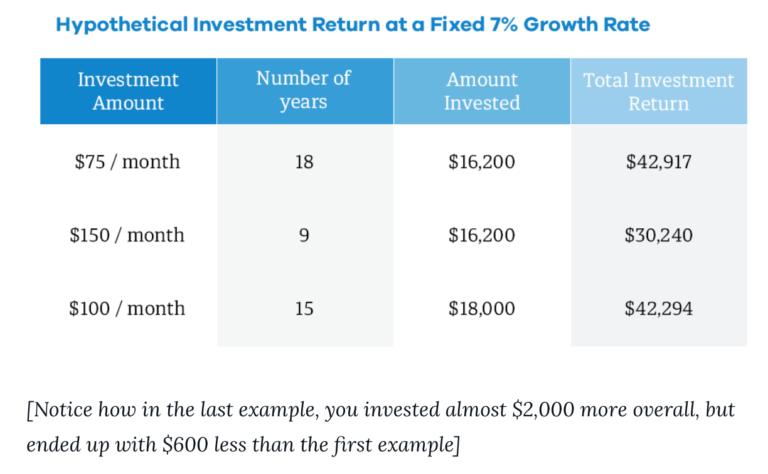 The table below illustrates the benefit of starting to save as early as possible. Compare the first and third investment scenarios. The individual who contributed $100 per month over 15 years put in nearly $2,000 more than the individual putting in $75 per month over 18 years, yet wound up with $600 less. Once you’ve enrolled, you choose how you want your money invested. The two key considerations are your risk tolerance and the age of your child, and these concerns are intertwined. The idea is that when your student is young, market fluctuations aren’t a problem – maximum growth is the goal at that point. When your student gets close to college, you want to maintain the funds you have so that a sudden market downturn doesn’t derail college plans. Ten or more years away from college? With that time horizon, you may be willing to ride market fluctuations for a chance at greater growth. Look to high-risk, stock-heavy plans. If your student is just a few years away from college, however, you may just look at 529 plans as a tax-advantaged way to save money. Turn to low-risk options made up primarily of bonds. Most plans also have age-based options in which your investment automatically shifts from higher to lower risk as your student gets closer to college. You can contribute to your plan in multiple ways. Available options include automatic payroll deductions (if your employer allows it) and recurring drafts from your bank account. You can also make single payments online, usually monthly or quarterly. When it comes time to withdraw 529 funds, know that the total amount withdrawn each year cannot exceed your child's adjusted qualified higher education expenses, minus other tax benefits. The earnings portion of money withdrawn for non-qualified expenses are subject to federal income taxes, as well as a 10% penalty. If you withdraw more than you can appropriately spent, funds can be re-contributed within 60 days. Make sure you know what’s considered a “qualified education expense” and what isn’t. Perhaps the most important action is to separate qualified payment receipts (textbooks) from other purchases (video games). If you are making purchases that fall in the gray area between curricular and extra curricular, check with the college’s department of financial aid. Room and board, for example, is covered, but only for as much as the college estimates room and board should cost. To avoid penalties, ask before you spend. What’s the difference: savings plan vs. prepaid plan? There are two basic types of 529 plans: “savings” and “prepaid.” Savings plans invest the money you deposit, while prepaid plans are basically an insurance policy. In pre-paid plans, you select a college in the same state as the plan and pay tuition ahead of time to avoid paying more for college when your student is ready to attend. We only considered savings plans in this guide so that our recommendations are useable by everyone for colleges in any state. What’s the difference: direct-sold plan vs. advisor-sold plan? There are two ways to purchase 529 plans – you can invest directly into the plan offered by the state (you control how that plan invests your money), or you can purchase a plan through an advisor who then handles the investing for you. We haven’t considering advisor-sold plans as they tend to be more expensive (and their expert help usually doesn’t make up for the extra cost of their fees). Do you have to invest in a 529 plan offered by your state? For all of the plans that we ranked, no. It doesn’t matter where you live or where your student’s eventual college is located. For instance, you can live in Nevada, invest in New York’s 529 Plan, and your student can go to college in Georgia. Note: Some states have lower expenses and/or state income tax deductions available for residents that invest in their state’s 529 plan. However, those considerations have to be weighed alongside the plan’s past performance and expenses. 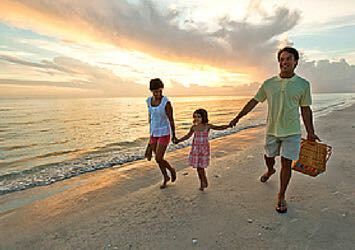 You can save up to $15,000 per parent in a 529 account, or $30,000 per couple. Grandparents can also contribute up to $15,000 per person per year. Contributing more than $15,000 per person would need to be reported to the IRS as a gift. However, a 529 account can be “superfunded” with contributions of $75,000 per person or $150,000 per couple — which uses up your federal gift-tax exclusion for 5 years. When is it worth it to go with an in-state 529 plan? The primary benefit to investing in-state is the option to deduct the amount you invested in the state’s 529 plan from your taxable income on your state’s tax return. This benefit varies in worth based on how high your state’s income taxes are. Of course, there are some states that don’t offer this benefit, or don’t have state income tax at all. Other states offer this benefit to residents that invest in a 529 plan from any state. Some 529 plans also offer lower expenses to in-state investors. For instance, waiving the annual account fee is a common benefit offered to residents. This is more of a side-benefit, and not something we spent a lot of time considering as a $20 per year fee isn’t going to make a whole lot of difference overall when compared to the plan’s past performance and overall management expenses. Can a 529 plan fund primary education? As of 2018, 529 plans can also be used to fund primary education — elementary, middle, or high school; private, public, or religious. But unlike college funding, 529 payouts for primary education have an upper limit. No more than $10,000 per year may be spent on K-12 education. An inhibition for big-ticket primary and secondary schools, but also a sage reminder to conserve funds for the presumably greater expense of college. Can the money be spent on post-secondary education other than college? Funds from a 529 plan can be used to pay for qualified education expenses associated with any post-secondary education, not just college. Eligible schools include any college or university, but also vocational schools. 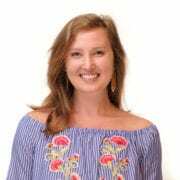 The deciding factor is whether the institution is eligible to participate in a student aid program administered by the U.S. Department of Education. What if your child doesn’t attend college, or gets a full-ride? Luckily, 529 plans offer two fail-safes to deal with these eventualities. You can withdraw the amount of any scholarships your student receives without penalty (though you will pay tax on those earnings). And if you have funds remaining after paying for your student’s school, or if your child decides to skip college, you can use the plan to fund another child’s or relative’s education. 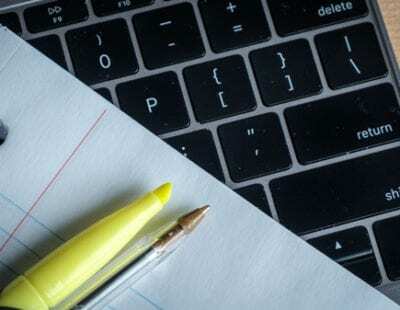 For more insight on how to maximize your money, read up on these other high-quality investment and financial services.